Compounds and performance technologies manufacturer Americhem has obtained licensing to produce Solvay custom compounded products. 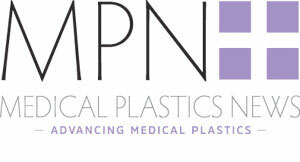 This allows Americhem to expand its medical material options. The company designs and manufactures custom colour masterbatch, functional additives as well as engineered compounds and performance technologies. Americhem now compounds and markets pre-coloured and filled grades of Amodel PPA Resin, AvaSpire PAEK Resin, Radel PPSU Resin, Udel PSU Resin, and Xydar LCP Resin. These resins aim to provide design flexibility and are solutions for metal-to-plastic conversions; high impact, moisture and heat resistance applications; and improved compatibility with disinfectant and sterilisation methods. Custom and pre-colour compounded Solvay high-performance polymers are utilised for many different healthcare applications including: housings, testing equipment & components, orthopaedics, sterilisation cases & trays, and single-use or re-usable devices & instruments. Jim Figaniak, vice president & general manager of Americhem Engineered Compounds said: "We're excited to build upon our longstanding relationship with Solvay. As a licensed producer of Solvay high performance polymers, our customers will continue to benefit from the breadth of our offering. Americhem's expertise saves our customers time and resources in their product development process."